Leigh Crandall is a travel expert on hotels all over the world. Her frequent travel experiences as the travel editor for Brides.com and managing editor for luxury travel site Jetsetter.com led to her expertise. She is an accomplished contributing writer and editor for a vast number of online publications. Her specialty is high-end travel experiences. Crandall is a former travel writer for Tripsavvy. She was a regular contributor for nearly two years specializing in hotels. Her work as the travel editor for Brides.com and managing editor for Jetsetter, a website about luxury hotels all over the world, gave her the expertise to write about her experiences. 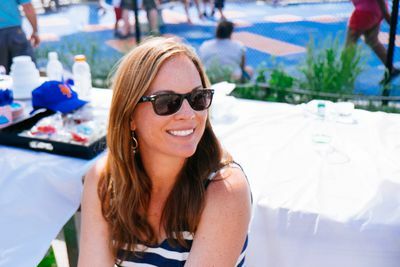 Leigh Crandall was a writer for U.S. travel website Glorious Americana and is a frequent contributor to websites and magazines including Jetsetter, BBC Travel, The Daily Beast, Hamptons, New York, Country Living, Serendipity, Zagat.com, Martha Stewart Weddings, and the New York Observer. Prior to freelancing, she served as the managing editor at luxury hotel site Jetsetter, Senior Editor at Martha Stewart Weddings, and also covered all things honeymoons and destination weddings as the travel editor of Brides.com. Leigh is the author of three books, "The Happy Bride’s Survival Guide," "A Book of Simple Pleasures," and "When I Was a Ring Bearer." Crandall earned her bachelor's degree in English and film from the University of Southern California.